Definitely appears that way. Was anyone able to catch the words on it's chest? It said "BUILD" on it. *Zi-O's human name is Sougo Tokiwa. He's described as "an ambitious young man who dreams of being a King." *Geiz is also the characters human name, Geiz Myokoin. 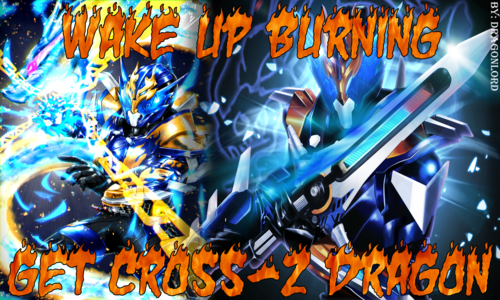 He was sent back in time to kill Sougo before the Demon King can awaken. *Sougo's great-uncle Junichiro Tokiwa will run the "hangout" area this season- a boutique called the "Kujigojido Shop." He is a watchmaker & knows a lot about past Kamen Riders. *The villains are known as the TimeJackers and they come from the future to replace Zi-O with their own King- via candidates known as "Another Riders"- people found in other times & granted powers similar to Kamen Riders with devices called "AnotherWatches." *Schwartz is the name of the TimeJackers' leader- described as a violent older man. He is aided by a woman named Aura who can convince others to willingly accept AnotherRider powers. They are overseen by a prophet named Wars who can tell stories of the future. Saw the trailer. Kamen Rider Rolex looks a-okay. Geiz feels like a cross between Ren/Knight and Makoto/Specter. Tsukuyomi seems like another iteration of Hana from Den-O which is fine. Now all we need is for Yaguruma to guest appear like a badass while scraping the bottom of a instant ramen noodle bowl for that last morsel of food. Last edited by Sunred; 08-07-2018 at 07:32 AM..
Just watched the trailer. I hope Zi-O is not a whiny brat because his face looks like he has the potential to be one. Also I don't know why but Sento and Ryuga's cameo in the trailer reminded me of MCU's crossovers in terms of how natural it feels. However, the plot about Another Rider being random people being given the power of Riders might be them trying to cover up for some of the actors that they can't get. Who knows? Also, Decade's RideWatch is nowhere to be seen. 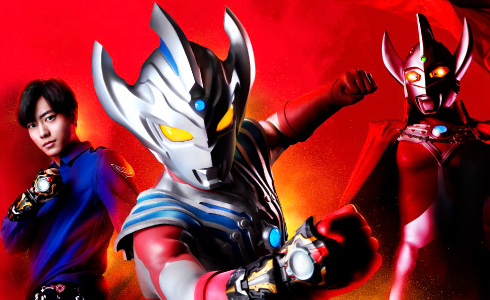 It's obvious that it'll be a power up item and I love it, it seems like Decade will be the equivalent of Ultraman King in Geed for this series. Last edited by SengalBoy; 08-07-2018 at 08:20 AM.. I guess this confirms that Zi-O is a dude. The trailer looks decent enough, I'm looking forward to see how well it does. Anyways. looks good, definitely interested in this, end of an era and all that. The terminator/rebel fighter approach for Geiz seems expected. So that story should work fine. Kind of figured they'd go for the rebel fighter approach with it being interrupted and explained there's other ways to change the future. Not surprising, but I do expect that some aspects are going to surprise viewers later. So don't get too arrogant with that "men only for kamen rider leads" attitude. There are a lot of little things involved in this one thematically that made it more cumbersome to do it that way. But that checkbox is still on the way to be checked off. That's one thing you can count on Rider/Sentai about. They work off of check boxes entirely for themes and concepts. When you look at the base concept of this, you can see why a woman lead wouldn't work for the rider that well. But the sub-tones of power corruption, and the 'guidance by a young woman from the future to correct history' as well as what appears to be a learning from other riders what it means to be king, same as the young woman is pushing to teach, all seems to suggest Toei is fully aware of the damage males unchecked or spoiled by power can cause. Which is seemingly something they want to highlight here about dreams of grandeur. That kind of awareness still fits the concerns of those "check boxes" you deride, and hint at a future series possibly taking the turn instead for a new lead rider where the story is more fitting for it. The more we learned about the story, the more it sounded like that was a lot of why they may have decided against it for this one. Still interesting that it was discussed which means it may be an upcoming thing soon for a new series. They've been rather progressive with various areas as it is with W having more representation and showing various styles of clothing as okay, and Wizard itself being open to having transgender characters. Pretty Cure seems to be starting to dabble more into introducing the potential of a make princess as well as other representation. So I really wouldn't shoehorn the Rider series to a "males only!" kind of mentality for the leads. This feels like an intentional sub-build to prep for the transition for a series. Also interesting is the side details with the "Timejackers" which factors into whether or not future Zi-O is actually past Zi-O too. Does feel like a mix of Den-O, Kiva, and Decade from the pitch so far, but let's see how the series develops. Having nods to previous in theme isn't an inherently bad thing, it's all a matter of how that's applied. Does feel like a waste because of timing, but that's mostly because of Kyoko Okada's 80th birthday being this year and it conveniently landing on a Sunday. So there were a lot of little things that conflicted in theme choice behind what's being covered. Which is kind of a shame, but they may still have some surprises up their sleeve for that. Those rumors about the process of the decisions were a little more accurate than you may realize. But decisions also change based on how themes and story develops. Zi-O may have been a last minute pitch pivot to prep for future things. Where instead other ideas were on the board at first but didn't seem quite right for an end of an era series, and fit more to a "beginning of an era" series for later. Keep in mind we've got several anniversaries coming back to back right here. Not as expensive as you might think. It's about on par to OOO and Build, or somewhere between there. Maybe roughly Gaim budget levels or Ex-Aid. Nothing pushed so far seems any more pricey than what they've already done from Den-O on up, and those costs of those effects are getting easier and cheaper to do too, which is why we've seen the increase of them used in Sentai. They can't over extend the budget too bad as yet, too many back to back anniversaries coming up. So this may have more planning involved for a larger arc tied to that, with more surprises still to come. Last edited by Librarian; 08-07-2018 at 10:32 AM.. So this Wars character looks a bit like Allen from Ghost. The series synopsis has me wary because there are very few original notes anywhere in the concept. That the year's widgets, which translate directly to new forms, are acquired by defeating specific monsters? Build and Ghost. Visiting prior Rider series and the hero might be a villain in the future? Decade. A couple of the villains sound a lot like Medusa and Gremlin from Wizard, and Tsukoyomi sounds like Hana crossed with Natsumi. Time-travel world-hopping is just Den-O plus Decade. Our hero sounds even more generic than usual. Most of the best Rider series of recent years have had one or more fairly original concepts from the outset (Skywall, street dancers, medical drama.) That our secondary Rider starts off very antagonistic due to an easily-resolved misunderstanding is just incredibly basic. 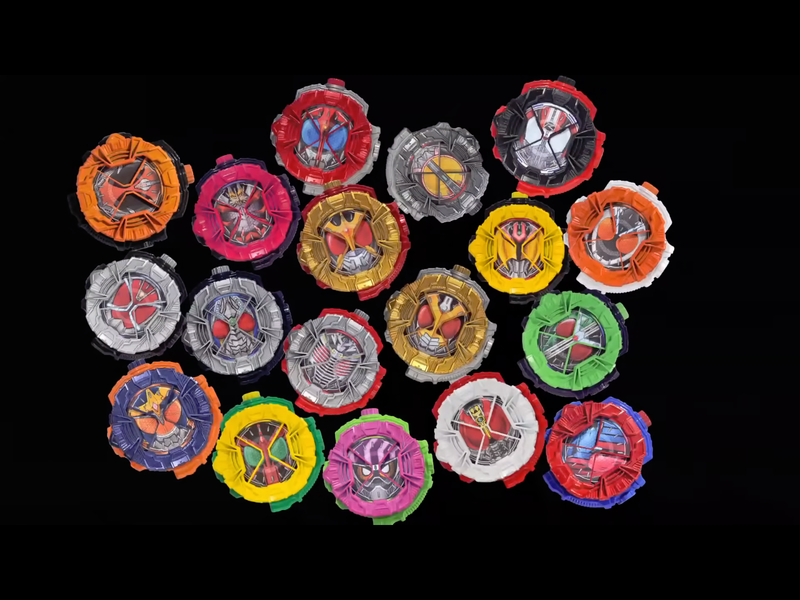 If the series is going to revisit prior Rider shows, there's no reason it should echo their structure, as well. Of course, the series could turn out to be terrific. There's just nothing in this summary that's got me excited.